OxyContin is the brand name for a time-released version of Oxycodone, often referred to as “Oxys.” This semi-synthetic prescription opioid is used to treat long-term moderate-to-severe pain. 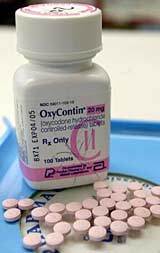 It is illegal in New Jersey to possess OxyContin or any other prescription drug without obtaining it through a licensed dentist, physician, veterinarian, psychiatrist, pharmacist or another person who is legally authorized to write prescriptions. As governed under N.J.S.A. 2C:35-10.5, the degree of your OxyContin possession charge will vary based on the amount you were caught with at the time of your arrest. You could be looking at anything from a disorderly persons offense all the way to a second degree felony. The skill and experience of your NJ criminal defense attorney will be instrumental in reducing your charge and resulting sentence, as well as fighting for a dismissal if you take your case to trial. At The Tormey Law Firm, our seasoned criminal defense attorneys are committed to achieving the best possible results for our clients facing drug charges. With offices in Newark, we regularly appear in courts throughout Essex County, NJ, including in Montclair, Livingston, Bloomfield, West Orange, Millburn, and Short Hills. If you enlist our law firm, our defense team will do everything in our power to have your charges dismissed, downgraded, or otherwise resolved in a favorable manner. To discuss your Oxycontin case in Essex County, New Jersey, do not hesitate to contact the The Tormey Law Firm at (201)-654-3464 for a free consultation. One of our experienced drug defense attorneys will explain more about your charges and your defense options. Under the Controlled Substances Act of the Comprehensive Drug Abuse Prevention and Control Act of 1970, OxyContin and other brand names of oxycodone are considered Schedule II controlled dangerous substances in New Jersey. This means that while there are accepted medical uses for this class of drugs, they are easily abused and highly addictive. Other Schedule II drugs include morphine, codeine and methadone. Due to the ongoing national opioid addiction epidemic, law enforcement officials and lawmakers are paying much closer attention to OxyContin and similar prescription painkillers in New Jersey. Addiction to OxyContin often begins after a person injures him or herself and becomes dependent on the drug for pain relief. Over time, this increasing dependence can become detrimental to a person’s health and cause a person to switch to heroin or find illegal ways to obtain Oxy, including theft from friends and family and/or purchasing from street dealers. Possession of four or fewer OxyContin pills will result in a disorderly persons offense if it is determined that you were not attempting to distribute them. You could also be charged with a disorderly persons offense if you are found under the influence of OxyContin without a valid prescription. The charges and resulting sentences become much harsher if police think that you were trying to sell oxycodone prescription pills. In New Jersey, you are charged with a fourth degree crime if you are caught trying to sell four or fewer Oxycontin pills. Penalties include up to 18 months in prison and $10,000 in fines. Further, you will be charged with a third degree offense if you are found in possession of between 5 and 99 OxyContin pills with intent to distribute. A third degree charge for Oxycontin exposes you to up to $200,000 in fines and 3-5 years’ imprisonment. Lastly, if you are accused of dealing OxyContin in an amount of 100 pills or more, you can be charged with a second degree crime. 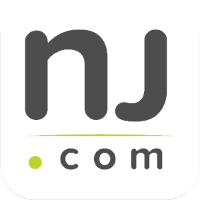 Second degree felonies in New Jersey are punishable by a state prison sentence of between 5 and 10 years and a maximum fine of $300,000. A second degree crime entails a presumption of incarceration, which means even first-time offenders must serve prison time if convicted. In addition to simple possession of OxyContin or possession with intent to distribute, there are other related charges that may be involved in your case, including prescription theft and prescription forgery. Prescription theft involves the theft of pads, blanks and/or tablets. A person who steals a prescription pad or blank and attempts to use it to deceitfully obtain a prescription is charged with theft under 2C:20-3 and prescription fraud and forgery, governed by N.J.S.A. 2C:35-13 and N.J.S.A. 2C:21-1, respectively. In most cases this is classified as a third degree crime. No matter what kind of OxyContin drug crime you’ve been charged with, the dedicated Essex County criminal defense attorneys at The Tormey Law Firm have the combination of experience and skill you need to arrive at a successful legal outcome. Depending on the circumstances of your specific case, we may be able to have your charges reduced or even dismissed. Contact us today at (201)-654-3464 or contact us online to schedule your free consultation.